In an adversarial move, akin to a bloody US political contest, AMD has published a freely accessible ‘white paper’ that focuses on detailing the “Intel Tax” and how “Intel’s product line is filled with self-imposed, designed-in performance bottlenecks.” It’s brutal stuff, aimed at encouraging system engineers and businesses to make the switch from Intel to AMD because of its superior price/performance metrics. And honestly, it kinda feels a little distasteful. Maybe it’s a cultural thing; in the UK we’ve not really gone in for that sort of adversarial advertising or political marketing fisticuffs in the past so it’s a little alien to me. But there’s also the fact that calling it a ‘white paper’ seems rather over the top in that old-school, bring-in-the-man-in-a-white-coat-to-explain-to-the-simple-housewife-why-her-current-washing-powder-is-crap, kind of way. And somehow trying to give this published vs. piece the air of scientific research by calling it such. Hell, the paper isn’t even white. But for all its overly aggressive tones, AMD’s EPYC pamphlet makes a good point about its simpler, far more transparent product stack, and that there are no platform features AMD has withheld on the basis of its price point alone. The document leads with an attack on Intel, pointing to the 19% compound annual growth rate in pricing, and citing the fact that it hasn’t had any meaningful competition in the server market as the underlying reason for the cost increases and lack of innovation. We maybe shouldn’t mention that part of the reason it hasn’t had any meaningful competition is down to AMD lacking the silicon cojones to compete until now. There were, of course, the nefarious practices of Intel passim, where companies were ‘encouraged’ to stay away from AMD hardware in the datacentre. 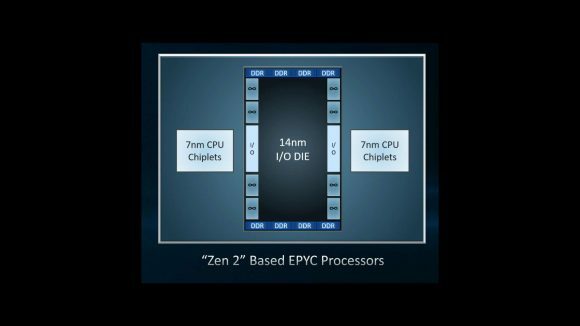 But even after Intel’s wrist was slapped on that front AMD didn’t really have anything competitive until EPYC hit the server room. Still, the doc spends the entire first page running down Intel’s server strategy, likening it to a dodgy car salesman forcing you to buy expensive extraneous add-ons in order to get the thing that you actually wanted in the first place. And AMD’s right. Intel has been sandbagging for years, and not only in the datacentre either. But, on the server/HPC side, the limiting of PCIe lanes and memory bandwidth to only certain SKUs of Intel CPU, and with 42 different chips on offer, makes it tough for businesses to know exactly which platform and processor is right for them. 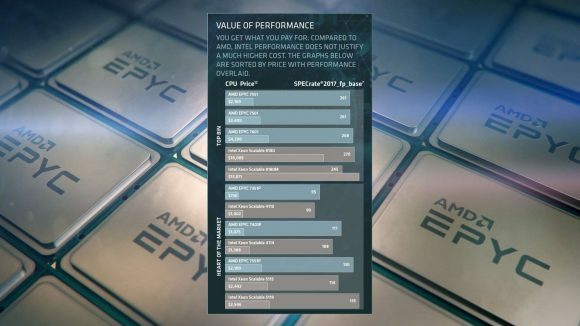 AMD’s approach is cheaper, more streamlined, easier to understand, and doesn’t hide any of EPYC’s features behind artificially obstructive pricing tiers. So yeah, I don’t have any issue with the information AMD is presenting in this ‘white paper’ doc, but the way it’s being presented just feels a little uncomfortable and overly aggressive to me. Though maybe that’s what AMD needs to do right now to continue the momentum it’s been building as the Intel CPU supply shortage continues. 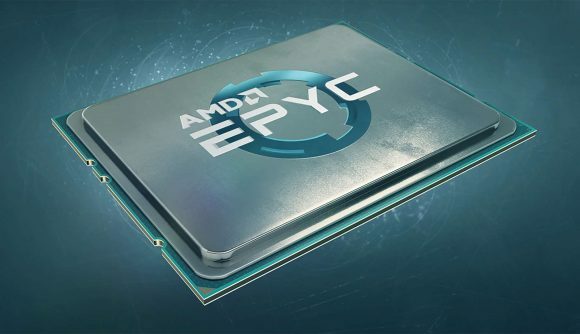 Every week we’re hearing of more companies using AMD as an option in its datacentres. It’s even looking like Google Stadia could be making the switch away from its current all-pervasive Intel loyalty – if everyone’s reticence to talk about the current Intel chips it’s using right now is any indication. Maybe AMD feels like now is the time to really go for Intel’s jugular, but with Zen 2 on the way, personally I’d rather see it just extolling the obvious virtues of the impressive EPYC platform, rather than presenting it as an attack on Intel like a political personality contest. 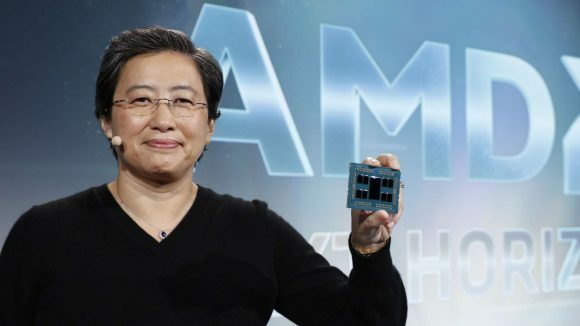 I half expected a picture of AMD’s smiling CEO on the final page with “I’m Dr. Lisa Su, and I approve this message” written underneath it.